Categories: Spices, Blends, Rubs & Mixes, Gourmet Foods & Baking, Holiday Items. 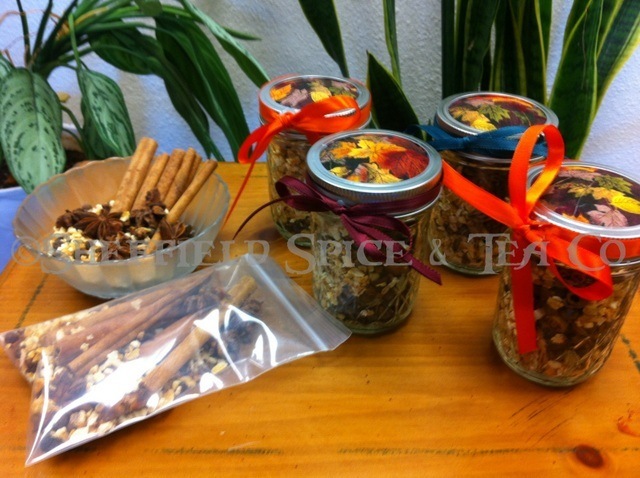 Mulling Spices is a spice mixture used in drink recipes. The spices flavor hot apple juice or cider, red wine, wassail, and other hot drinks typically during the autumn or winter. A mulled drink is a drink which has been prepared with these spices added while the cider or other beverage is warmed on the stove or in a slow cooker. 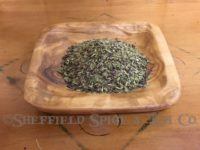 Mulling spices are also used to add this spicy flavor to beer, mead and other spirits. 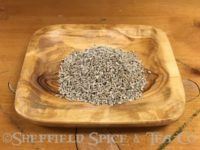 Our combination of cinnamon, orange, star anise, cloves, and other spices, provide a wonderful, holiday flavor as well as adds a spicy scent to your home while heating up. 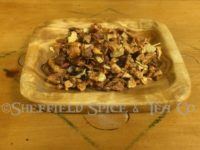 We hand blended our blend of Mulling Spices to be the sweetest and most aromatic we have ever experiences. 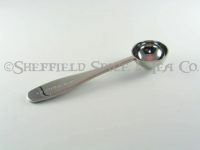 The 2.0 ounces flavors a gallon of apple juice, cider or red wine. You can cut your recipe in half by splitting up the individual ingredients best you can. For best results use a crock pot on low for at least 1 hour before serving, however, the longer you steep the spices, the more flavor you get out of them. 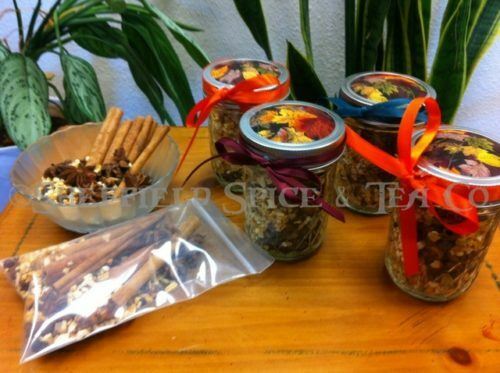 You can leave your spices loose and strain before serving or use an infuser or cotton bags. For our tea drinkers who love cinnamon, clove, citrus, spiced type teas, we carry several throughout the year and several during the Autumn season only, like pumpkin flavored teas. Not all are overly spicy or pungent, but rather nuanced so the overall spicy flavor allows other flavors to be tasted as well, like our widely popular Roasted Caramel Almond. Our other teas in the “spiced” category include our Mulled Spice Black Tea, Clementine Clove Black Tea, Red Hot Cinnamon Spice Black Tea, Red Hot Cinnamon Spice Green Tea, and Cinnamon Black Tea. We have several others which have cinnamon, orange and other spiced flavors. 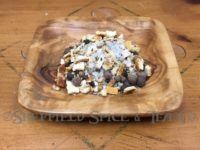 Contains: Cinnamon sticks, Orange Peel, Star Anise, Cloves, Allspice berries, Green Cardamom Pods and Black Peppercorns.